This entry was posted on Thursday, April 28th, 2016 at 12:30 pm	and is filed under Cork Flooring, Luxury Vinyl Tile. You can follow any responses to this entry through the RSS 2.0 feed. You can leave a response, or trackback from your own site. Haven’t heard about this but I think my friend is planning to install this in some of his new infrastructure as he is a builder. But now I got a wonderful insight on this thanks to you. As it is something new in the flooring I would prefer reputed commercial flooring companies in Brisbane to do this for my house. Have installed several jobs of Hydrocork. There have been many issues of product having over and unders on sides and ends(very concerning.). Some of the boards will not stay together no matter how much you work on it. The subfloor must be perfectly level and then it still might not stay together. Really concerning situations…the product was presented to me as a imperfect subfloor product, that would hide issues…..total B.S.!! Wicanders is now telling us to glue it down to wood subfloors….thanks Wicanders great job! is it formaldehyde free ? phalspahte free? chemical free? non toxic ? what about the off gassing ? whats it made of ? where is it made? You’ll find technical information on the Wicanders site here: http://www.wicanders.com/wp-content/uploads/2015/12/62637MT-INT_Rev008_Flyer_Hydrocork_JUN16_LQ.pdf (last page). HydroCork is made in Portugal (this is also where the cork comes from). 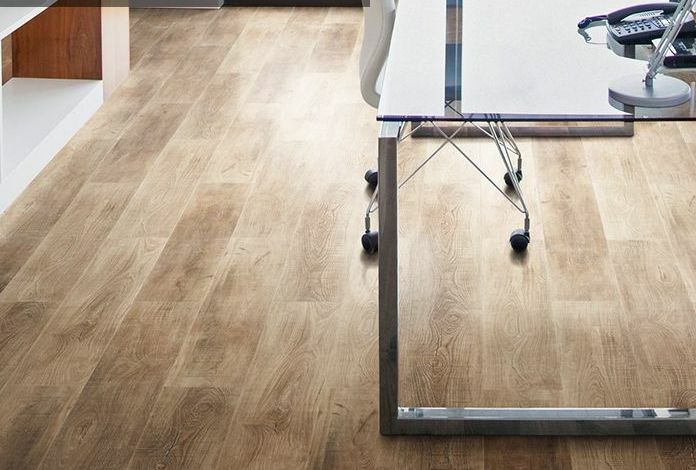 The Hydrocork is considered luxury vinyl plank flooring. The difference between this brand and other LVT brands is that it uses a layer of cork as the core, which offers a lot of great benefits.